Our luxurious bespoke blackout blinds excel at limiting the level of light, heat or cold entering a room, thanks to their dense thermally efficient backing material. With a huge variety of beautiful colours, textures, patterns and designs to choose from, there is a style to compliment any type of interior décor. All of our blackout blinds are made to measure here in the UK, exactly to your measurements using only the finest materials – so you can be sure you’re getting a premium product that flawlessly fits your requirements. 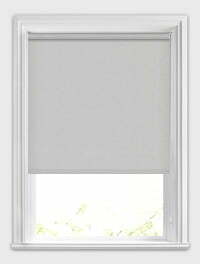 Our stylish collection of high quality plain blackout rollers is the ideal way to keep the sunlight at bay and provide shade in any room. Choose from a wide range of fabulous fabric colours, from soothing natural and natural hues through to the brightest vibrant tones, there is something to suit all tastes. Banish the sunlight and keep any room shaded in the most stylish and luxurious way with this beautiful collection of energy saving patterned blackout rollers. From vintage stripes and spots though to modern textures and abstracts designs, there is a fabric to compliment all styles of interior décor. Perfect for the bathroom and kitchen, this luxurious collection of waterproof blackout rollers features a wide range of colours, textures and patterned designs. Manufactured using only the finest components and PVC fabrics, they are a breeze to wipe clean making them both practical and stylish. 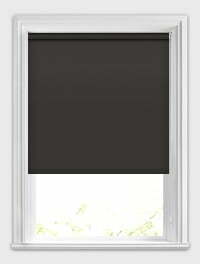 Our collection of high quality plain blackout verticals is just the thing for keeping the sunlight at bay and giving you additional control over privacy and shade, making them both practical and stylish. Choose from a wide range of luxurious fabrics and find the perfect colour to suit your home’s style. With their sleek and sophisticated lines and high quality PVC fabrics, this luxurious collection of made to measure blackout verticals is the perfect way to bring style and practicality to your windows. They’re waterproof and wipe clean making them the perfect choice for bathrooms and kitchens. 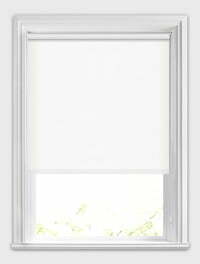 Blackout blinds are the ideal solution for any room that needs to be kept dark and cool, such as a living room, home office, bedroom or a baby’s nursery where they will help your little ones get a good night’s sleep. For the kitchen or bathroom, we have a beautiful range of water-resistant PVC and vinyl fabrics that are both a stylish and functional way of keep the sunlight at bay. Choosing the perfect blinds for your home, whether for keeping the light off a computer or TV screen, or for blocking out the early morning sunlight, has never been easier with our luxurious collection of thermal fabrics. Manufactured using only high quality fabrics and British sourced components throughout, they are built to last and will look fabulous for many years to come. We ordered two patterned blackout blinds for our double aspect bedroom. They look absolutely stunning and perfect in every way. Exactly what we wanted. The website was easy to use, and the roller blind I ordered was great quality, it finished the room off perfectly. Very pleased with the quality and design of the blackout blinds we ordered. Would highly recommend English Blinds to you all. Quick no fuss order and delivery. Absolutely delighted with it - great quality. Will definitely use your company again. Have total confidence. I was completely satisfied. The blinds are extremely well made and brilliant, very classy! The blinds we ordered are of a very high quality and the service we received from English blinds was second to none. We would definitely recommend them. Great service, the blinds are so well made. Have already recommended to others. Very happy with the whole process. It was easy to order with the best choice of fabric designs that I had come across! Excellent quality web site, product & delivery service. Absolutely effortless at a really good price. Great looking blind and very easy to fit! The service was fast and efficient. Will definitely buy from this company again. Easy ordering process, reasonably priced and easy to put up. So pleased with them, they look fab in my daughter’s bedroom and she loves them. It’s great to deal with a company that’s so helpful and do exactly what they say. The quality is excellent and the swift delivery service was much appreciated. Great product and great customer service. I’ve now bought from them on three occasions, and each time the customer service has been top rate. Fast, efficient service throughout, great selection of colours and easy ordering. Very impressed with the quality, will definitely use again.